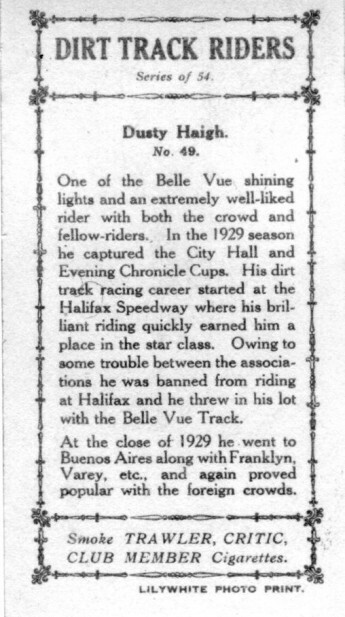 The Pattreiouex Tobacco Company advertises their Trawler Critic Club Member cigarettes on these cards. 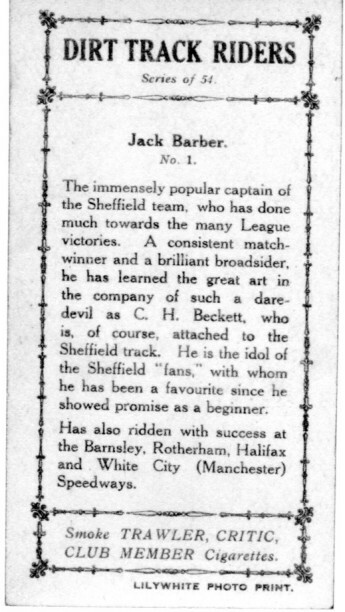 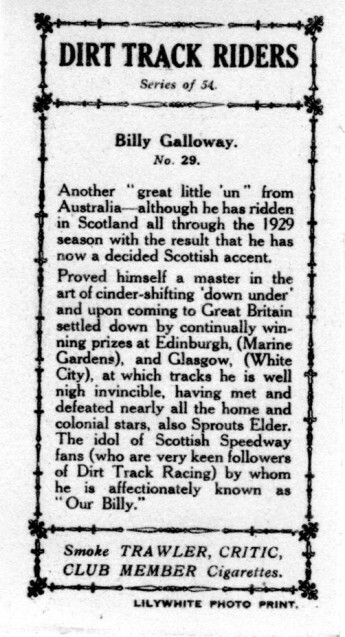 My thanks to David Pipes for supplying his set of cards from 1930. 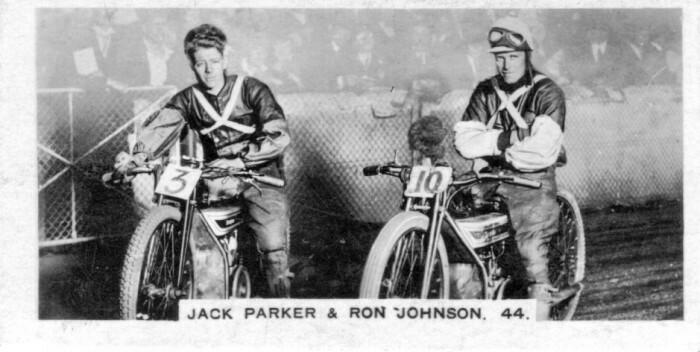 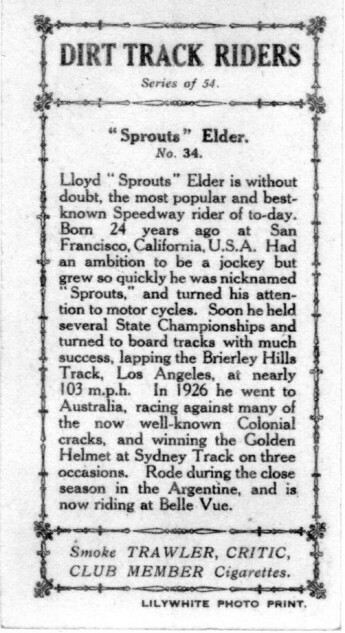 Senior Service used an artist for their 1929 set but for 1930 they used photographs of the riders. 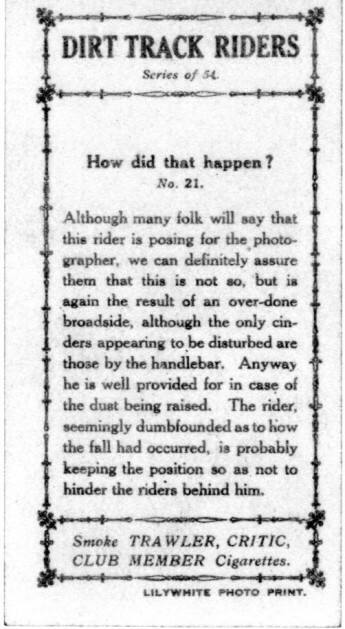 The photographs have fogged out all the backgrounds which although it scores for artistic merit it has lost us unique historical record of what was going on in the pits etc. 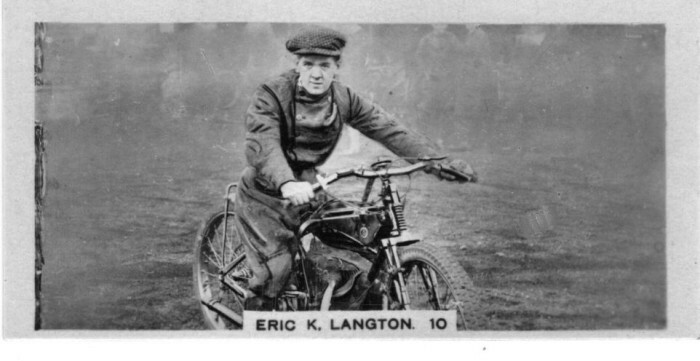 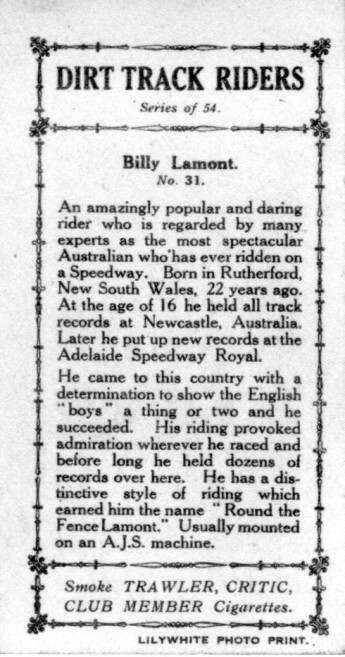 Round The Fence Lamont would have been my kind of rider. 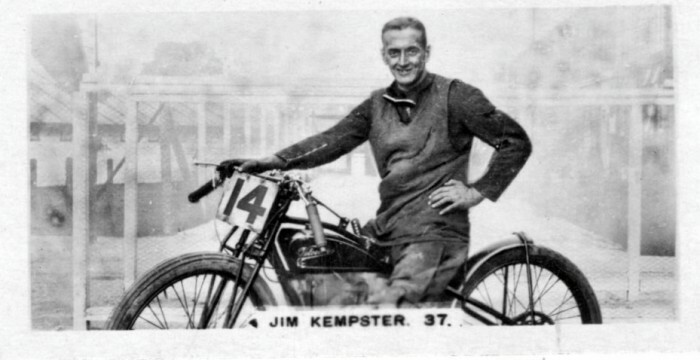 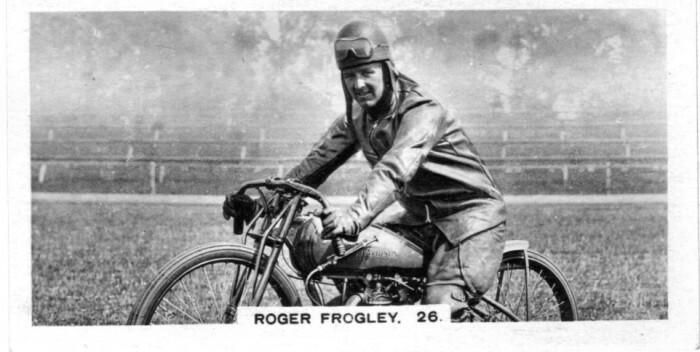 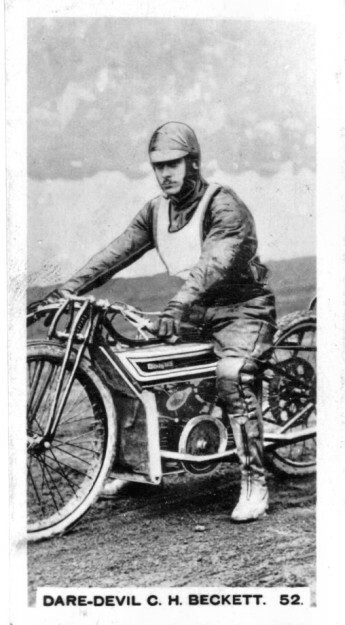 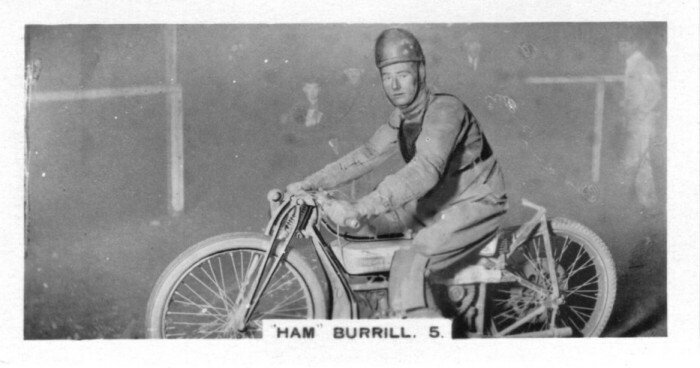 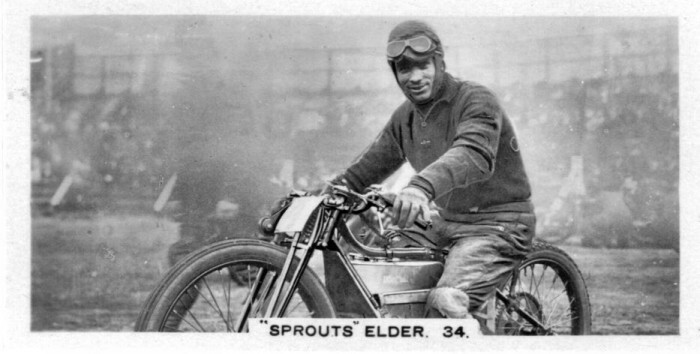 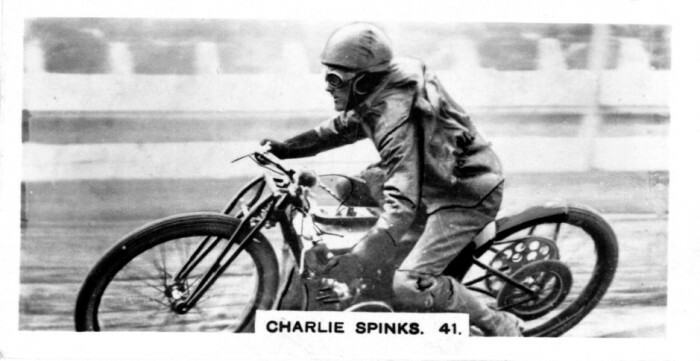 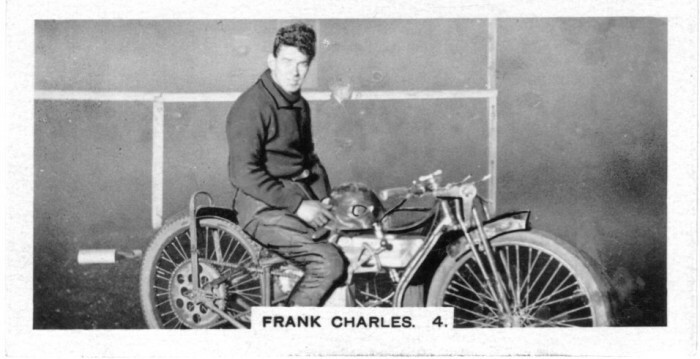 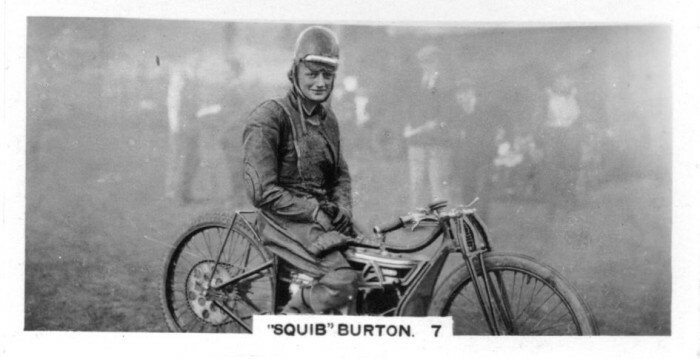 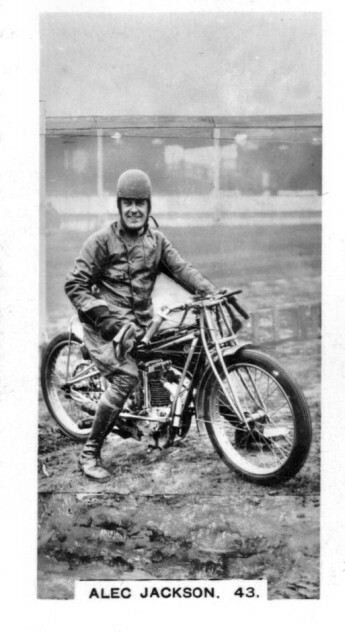 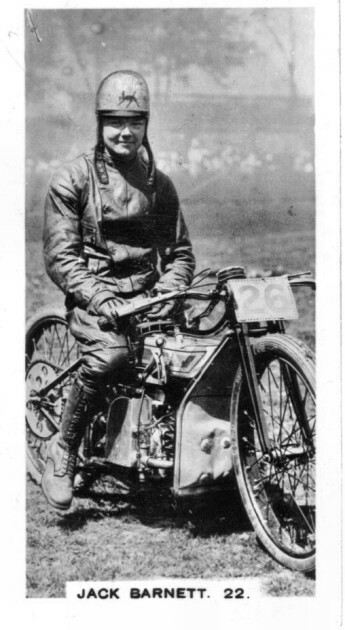 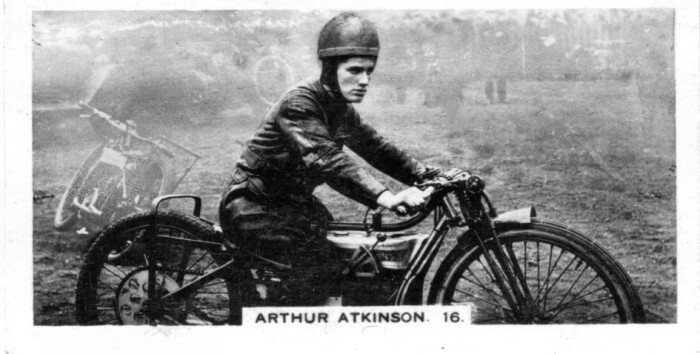 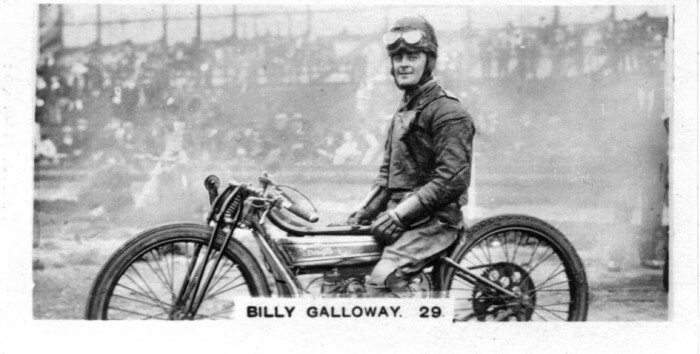 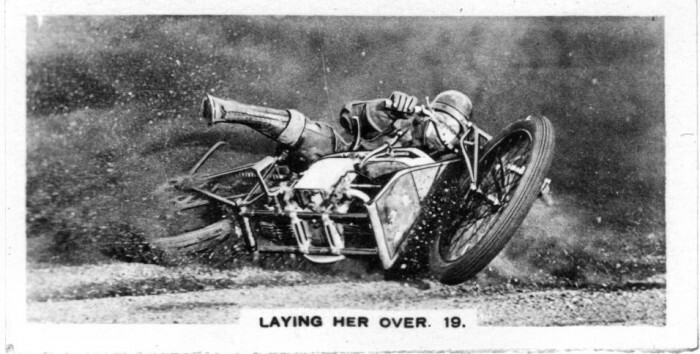 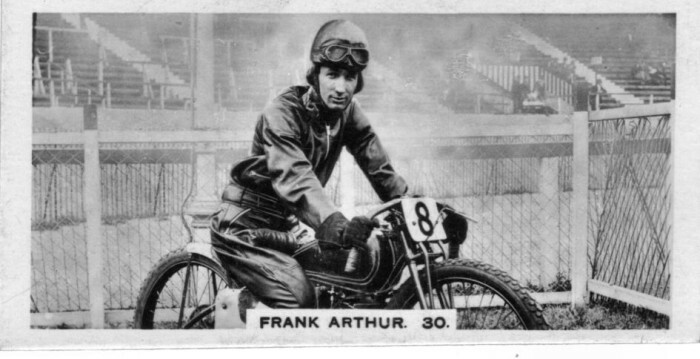 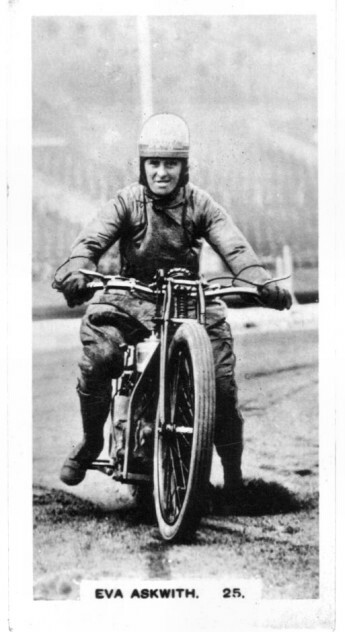 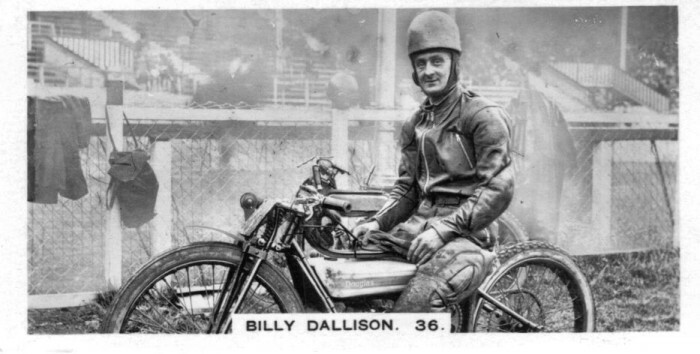 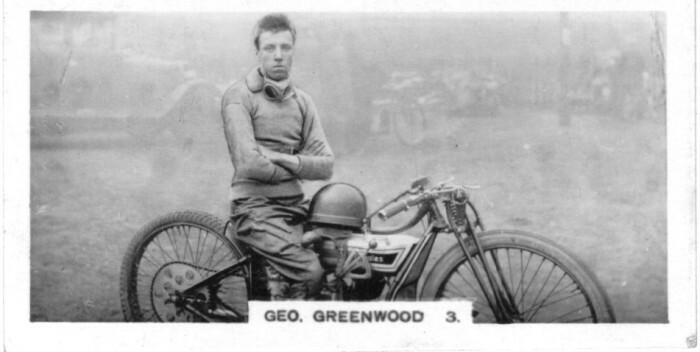 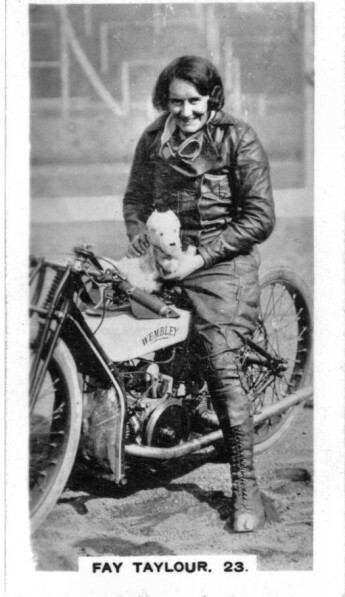 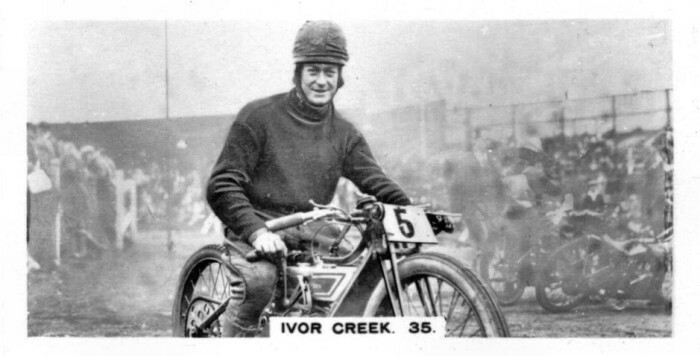 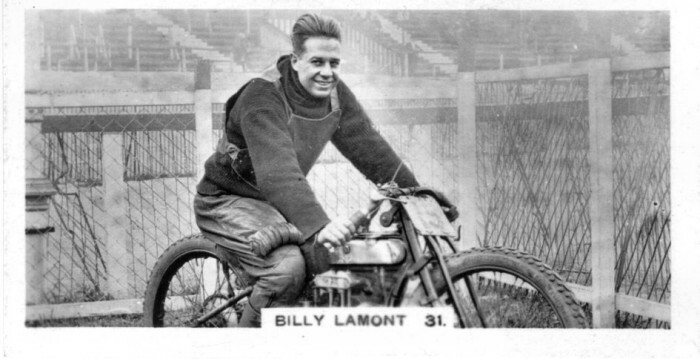 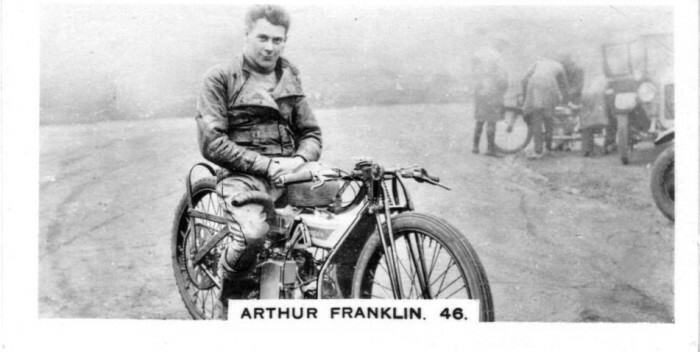 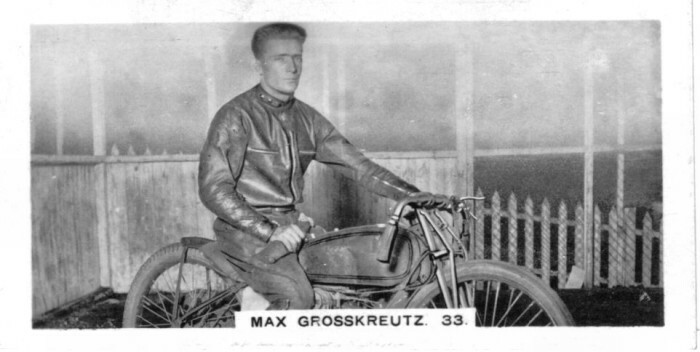 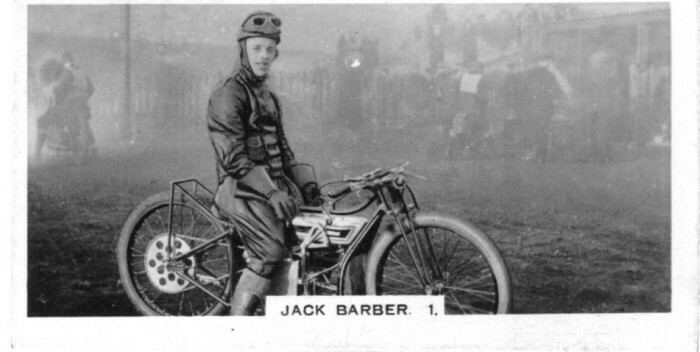 The card says he is usually mounted on an AJS. 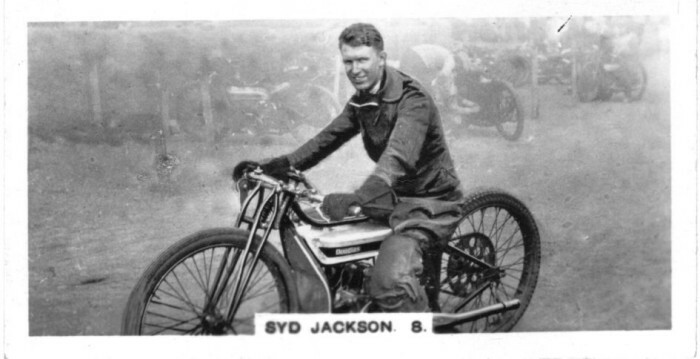 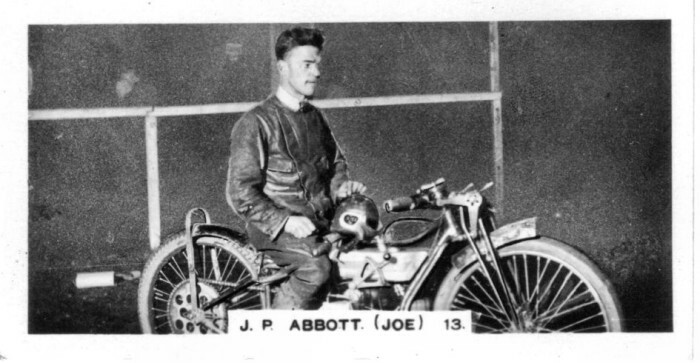 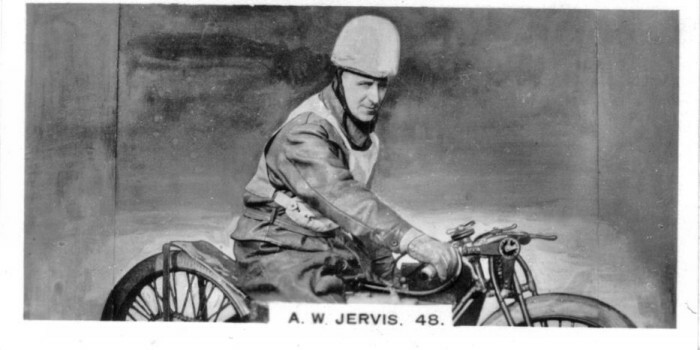 AJS's were used in the mid 1920s in Australia but surely by 1930 the AJ had been pushed out by Douglas and Rudge machines in the UK. 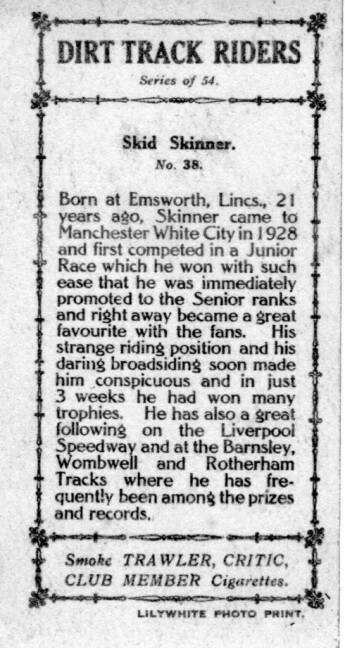 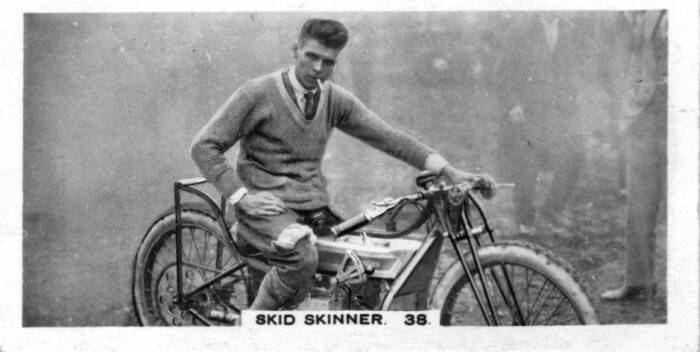 John Skinner says: My namesake Skid Skinner, although no-one has ever called me "Skid" ! 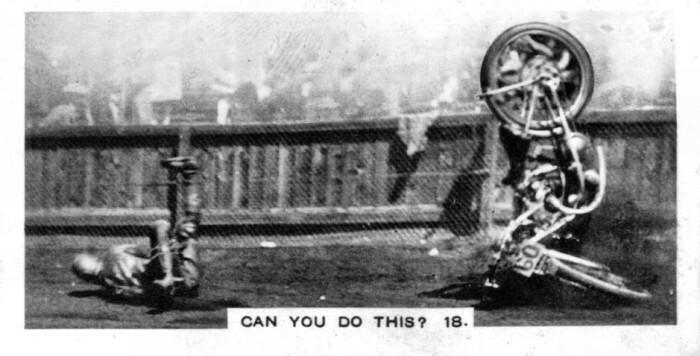 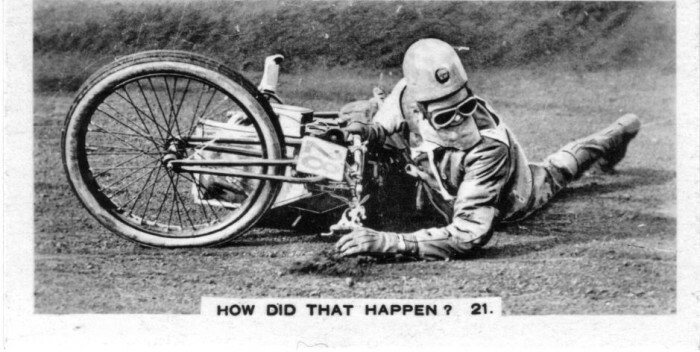 I pushed a pen in the civil service whilst Skid also rode Wall of Death! 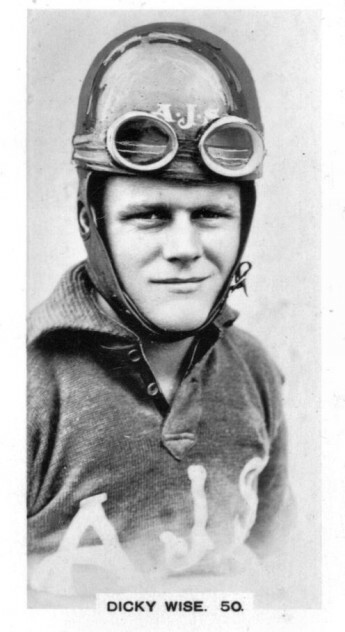 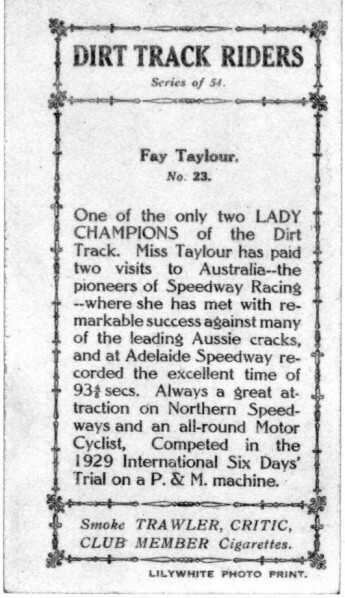 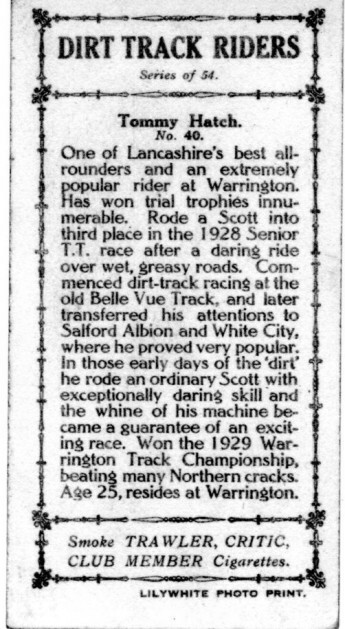 Here we see Ginger modeling the best race wear available in 1930. 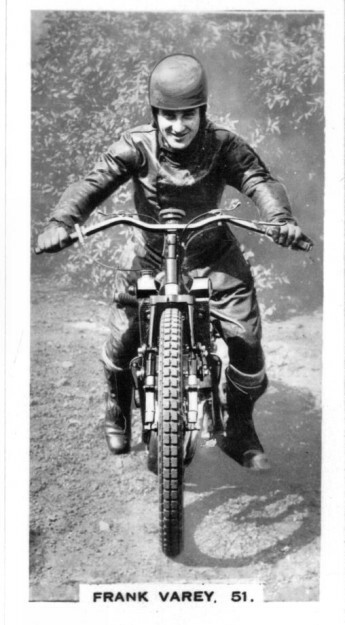 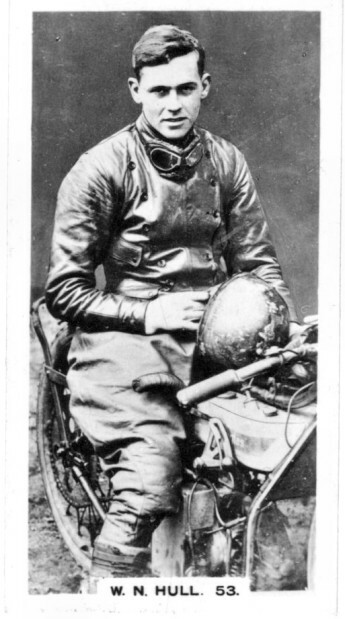 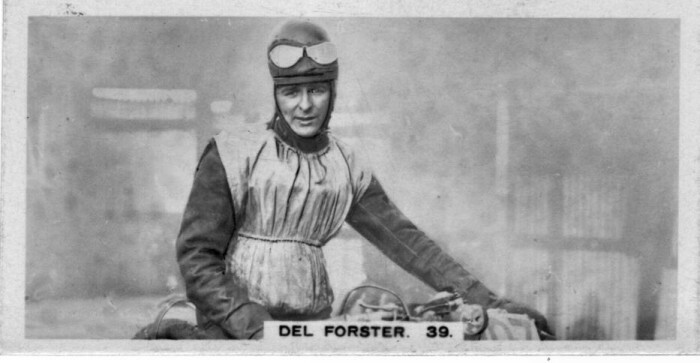 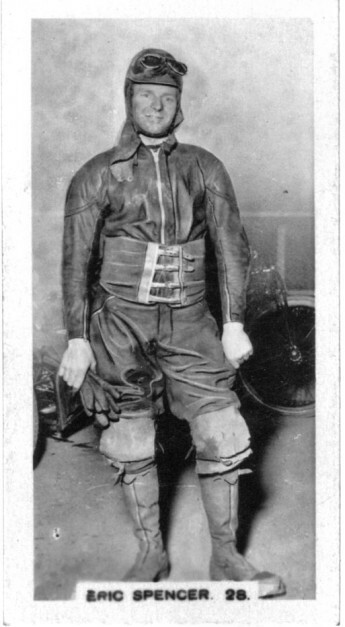 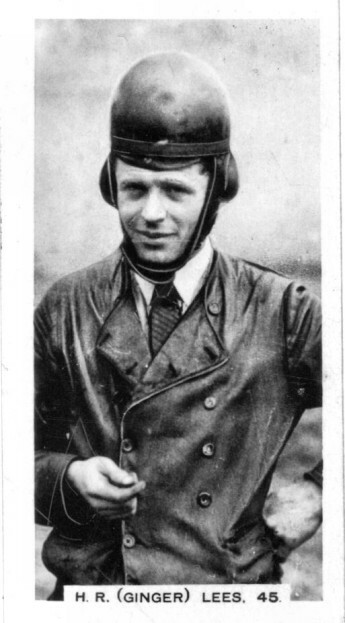 His Leathers looked stylish but wouldn't have protected him much in a crash and the pudding basin helmet wouldn't protect the face or back of the head. 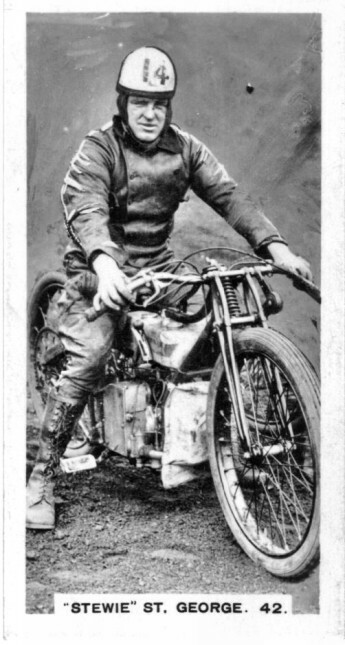 This was before the age of plastics his helmet was made of cork. 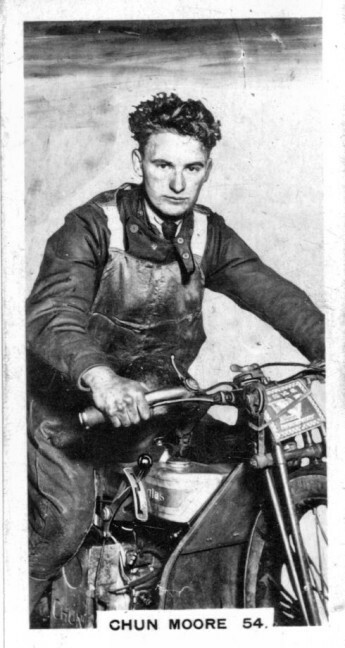 Clem joined a fairly large group of UK nationals that in the later part of the 1930s volunteered their services to fight in the Spanish Civil War. 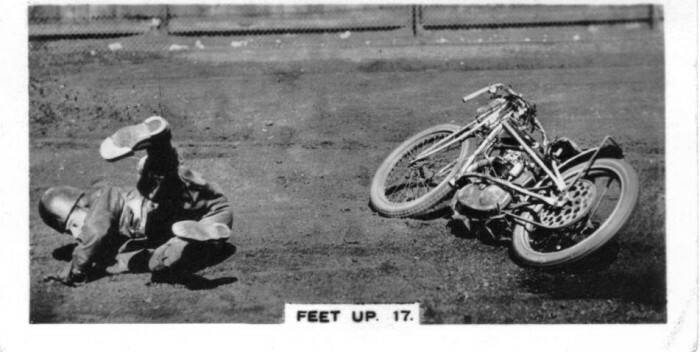 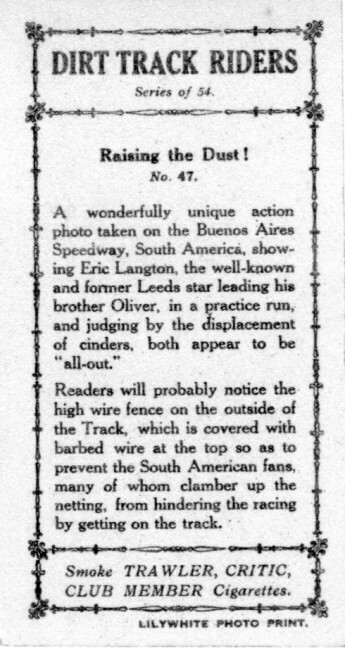 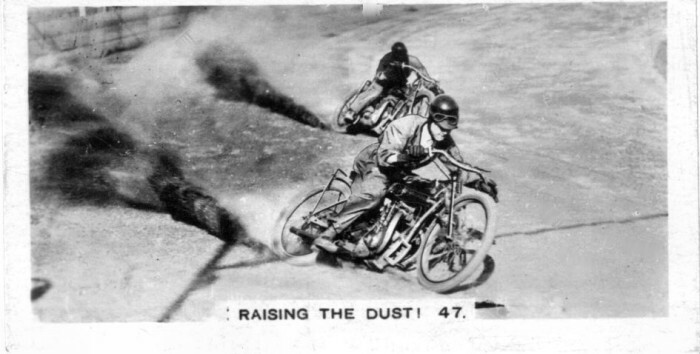 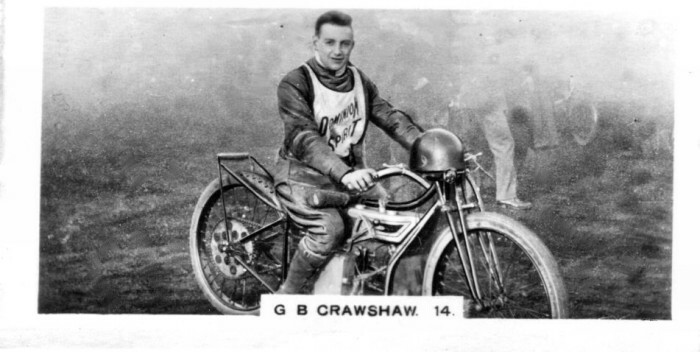 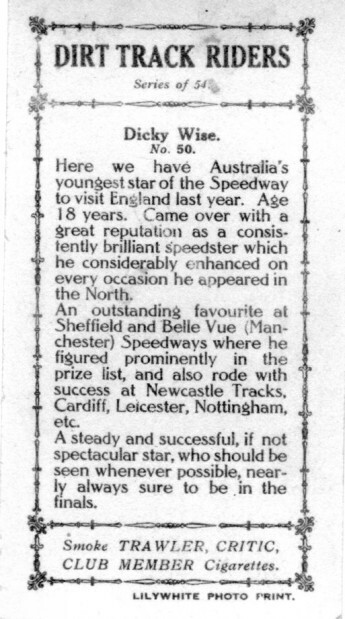 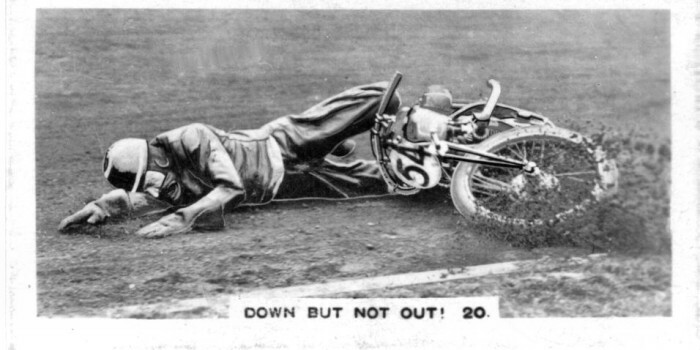 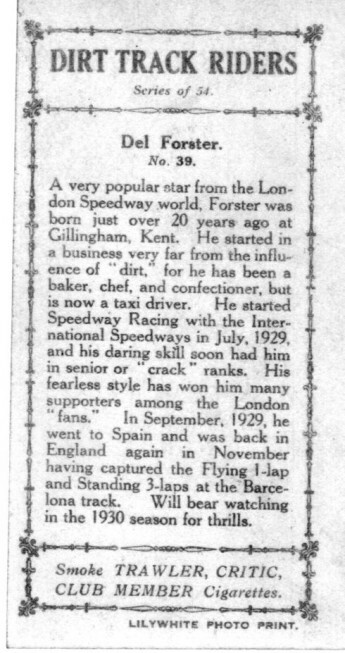 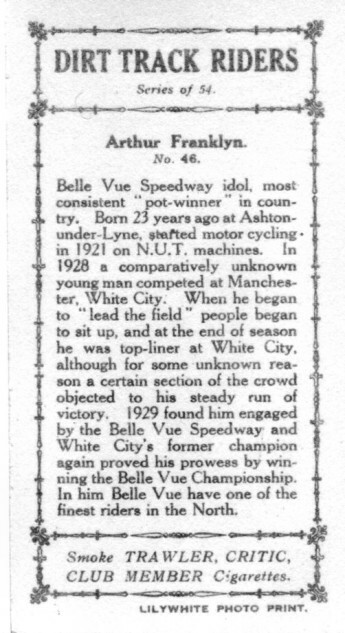 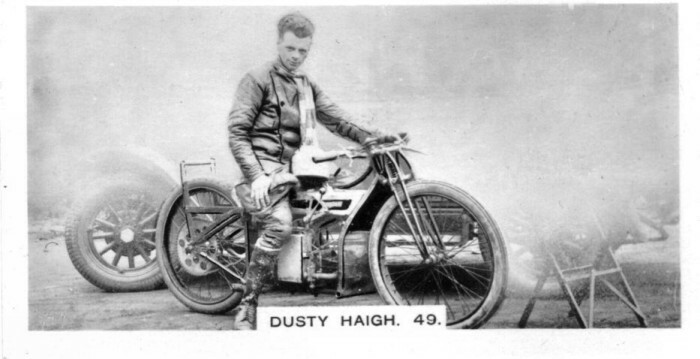 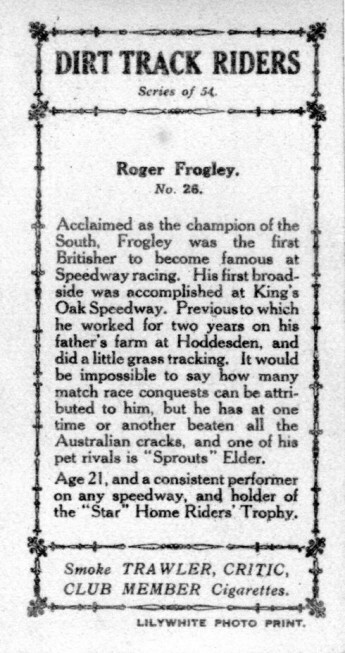 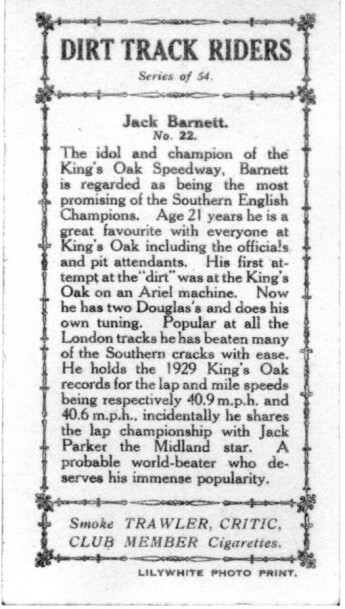 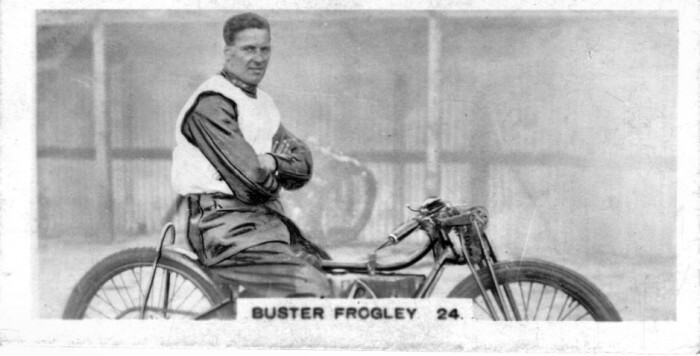 He was killed in action as if speedway wasn't dangerous enough for him. 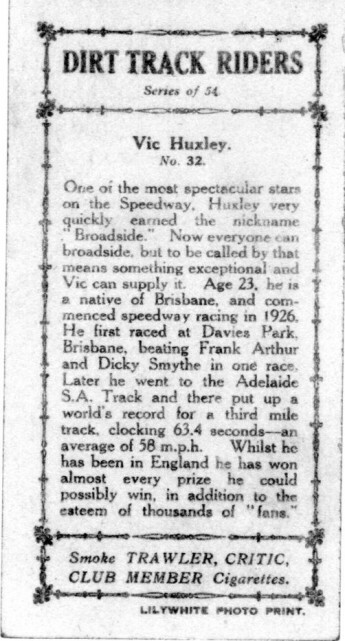 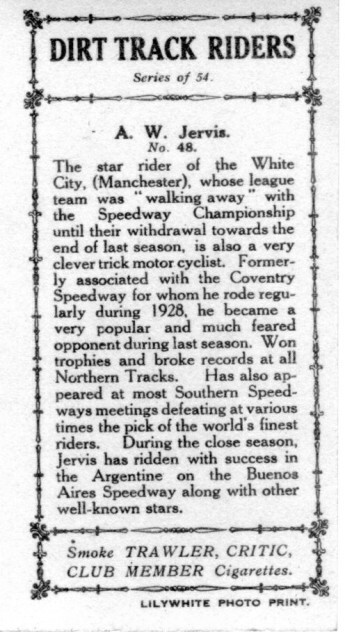 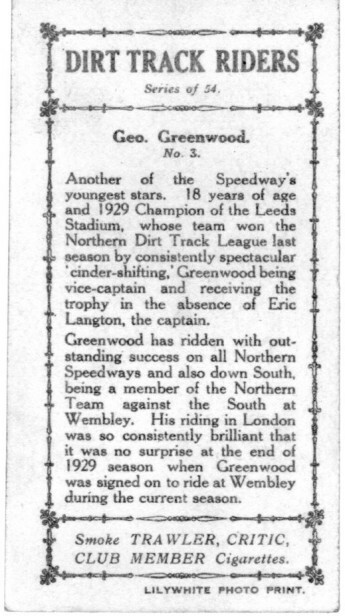 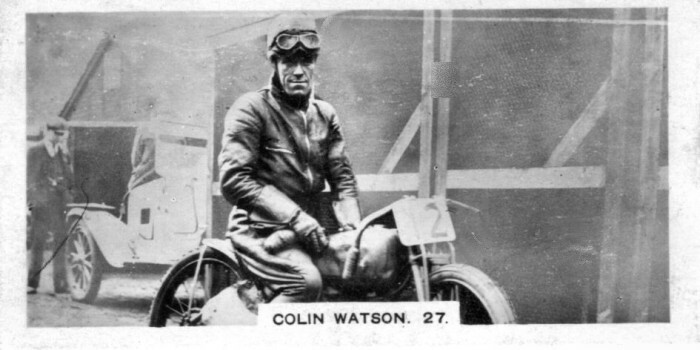 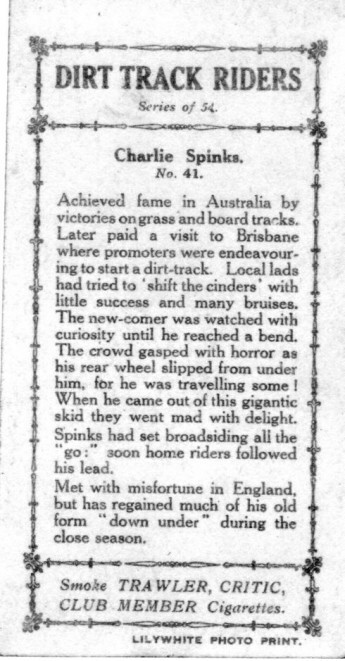 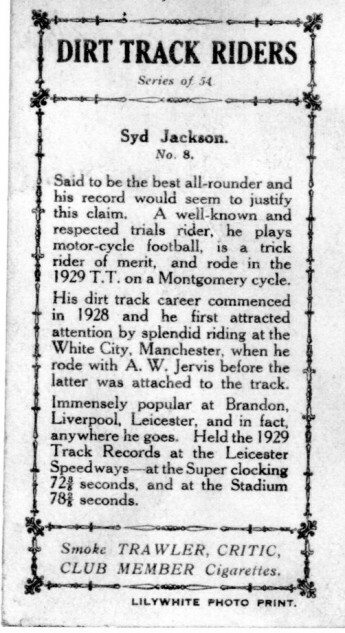 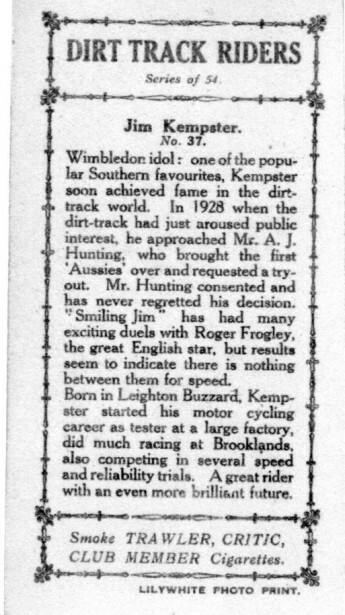 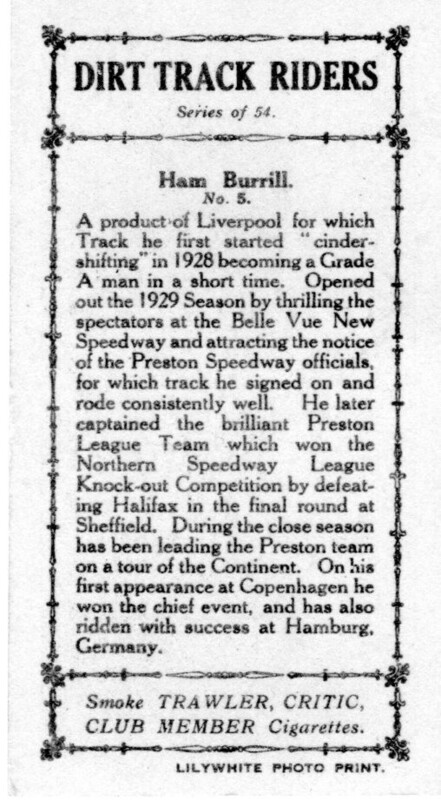 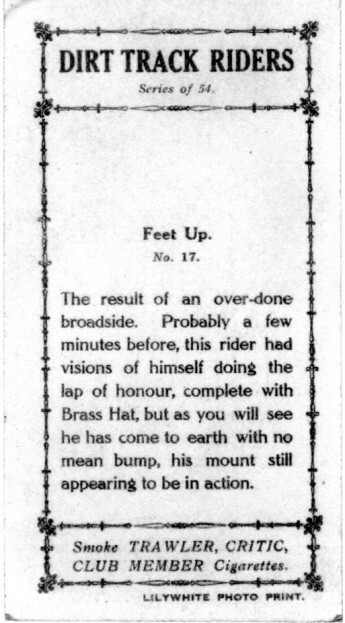 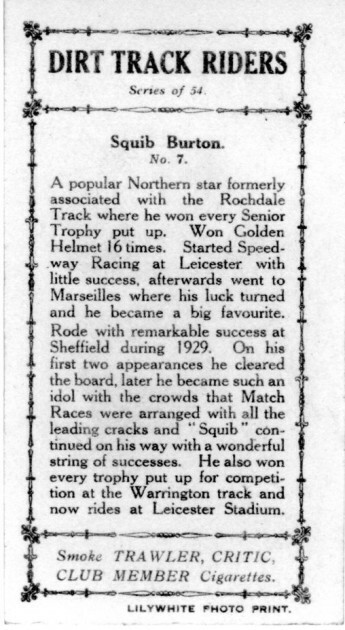 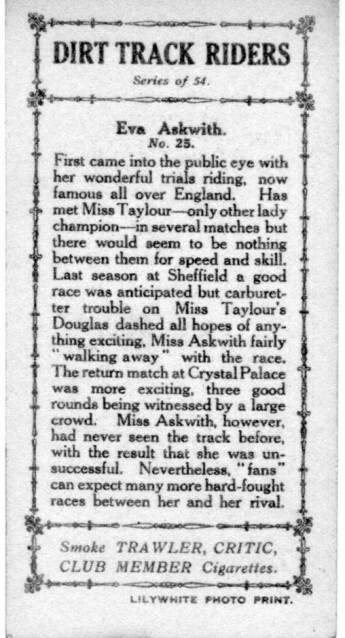 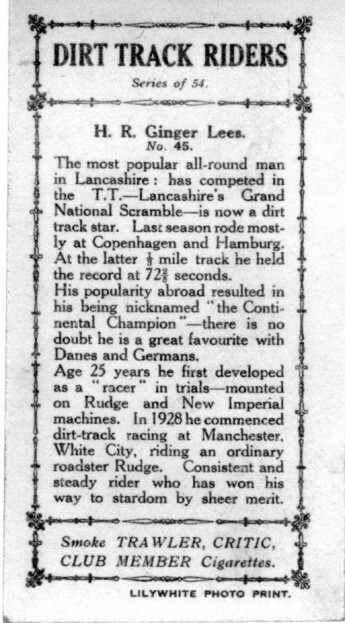 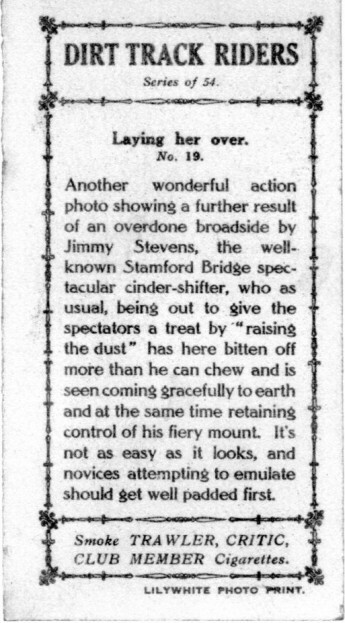 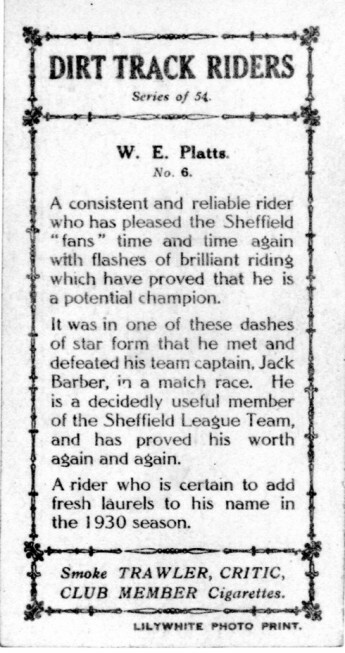 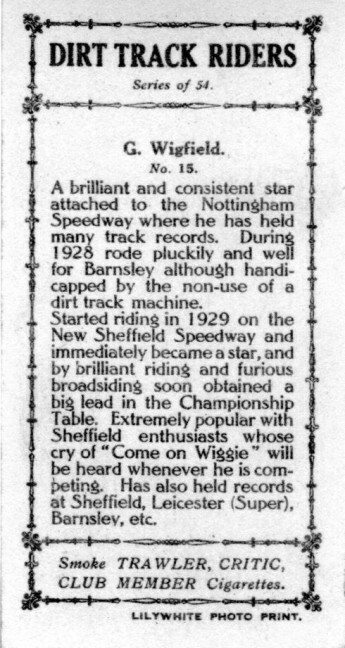 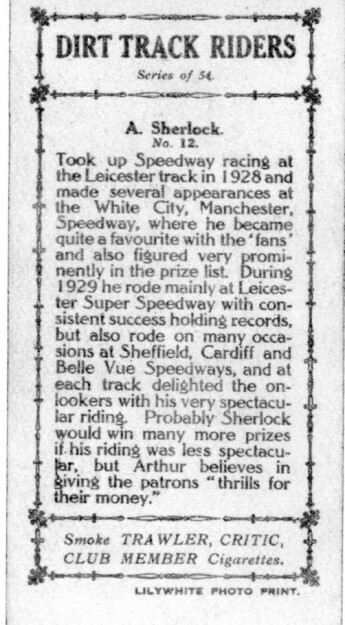 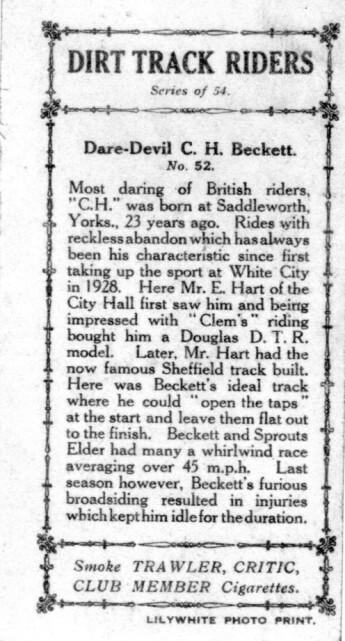 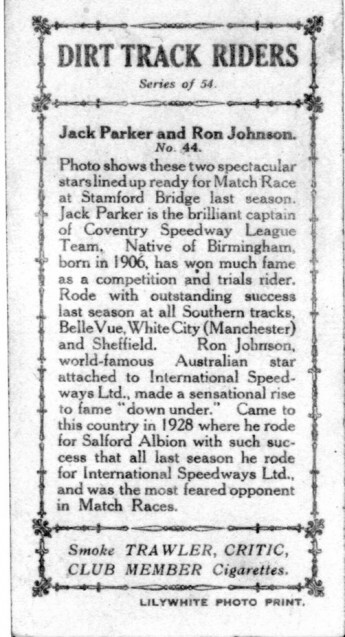 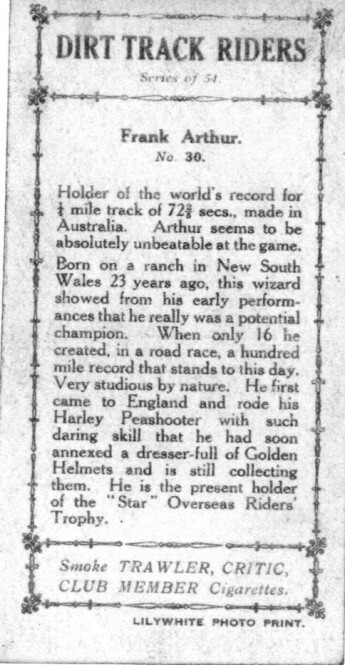 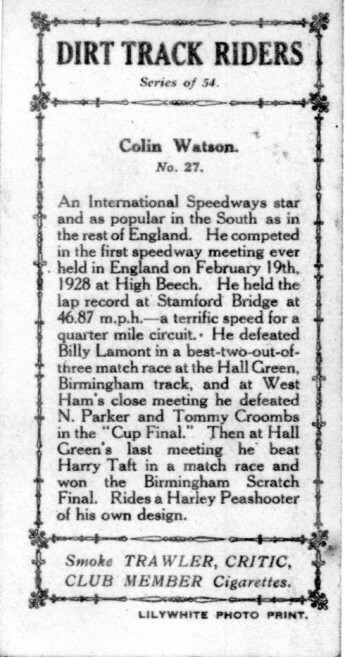 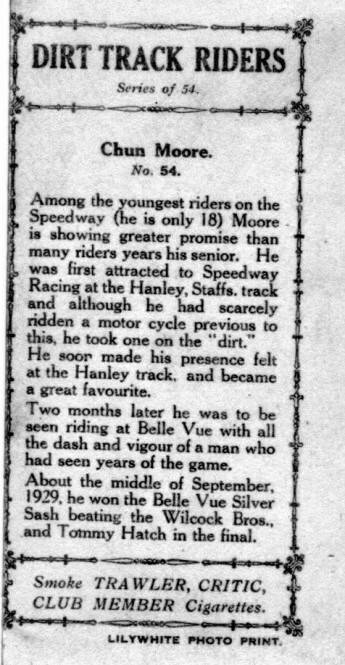 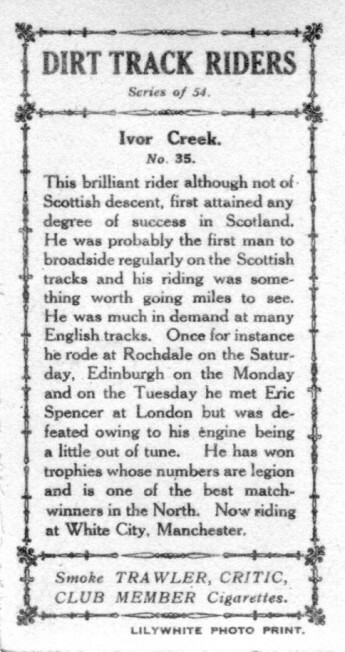 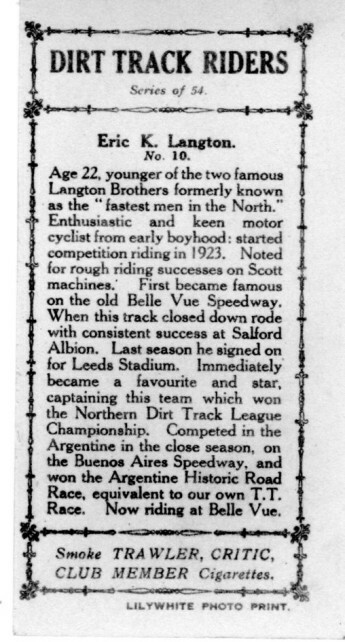 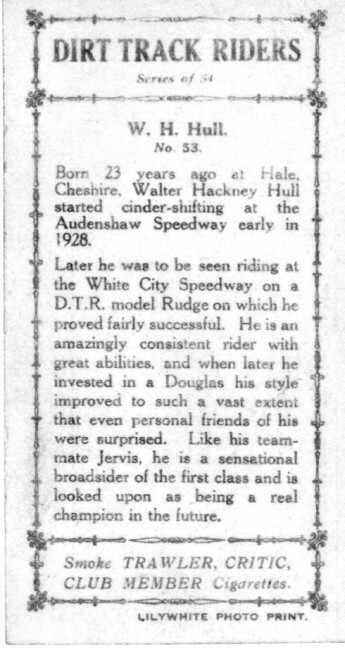 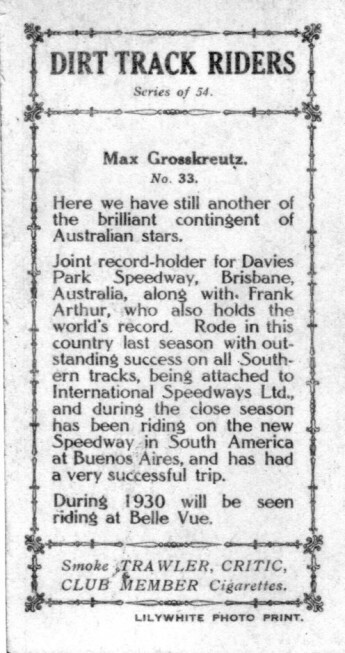 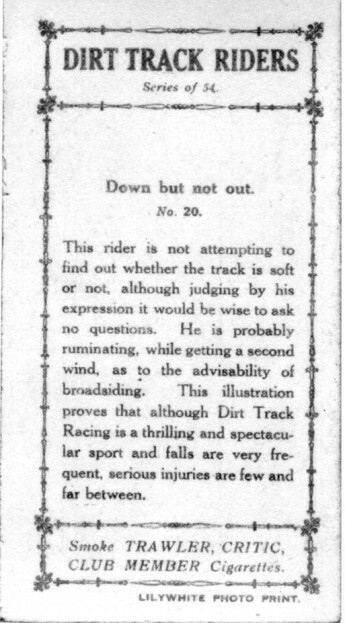 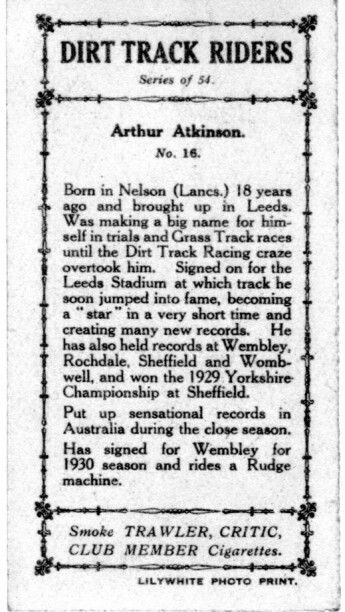 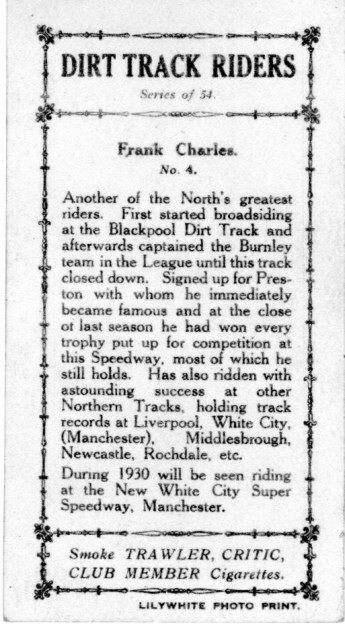 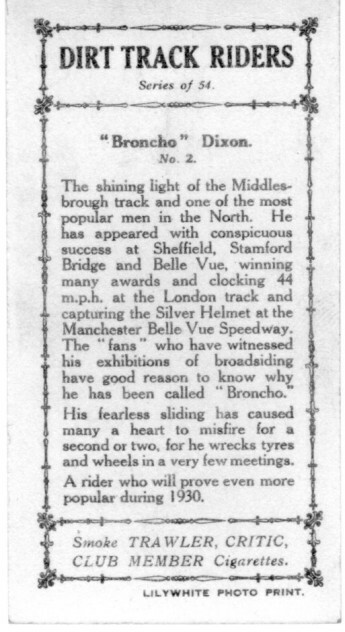 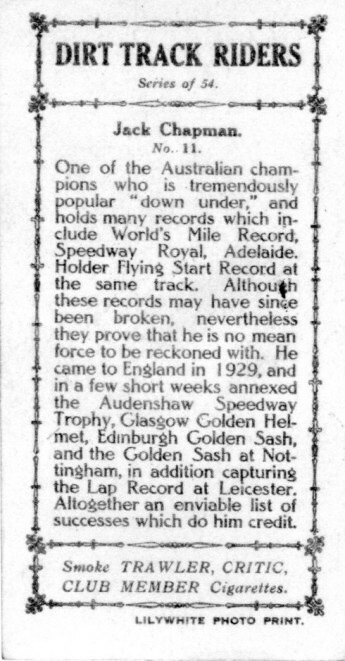 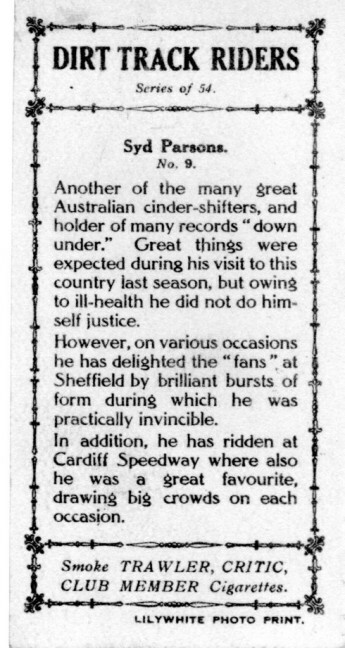 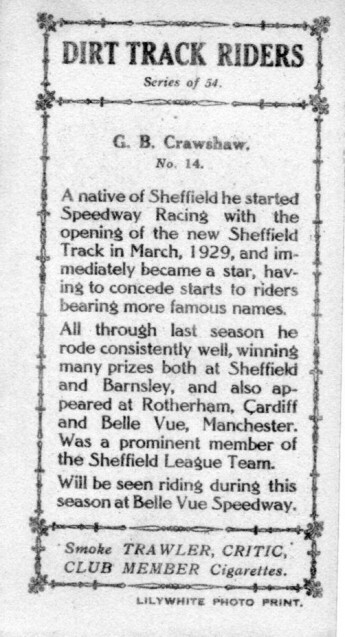 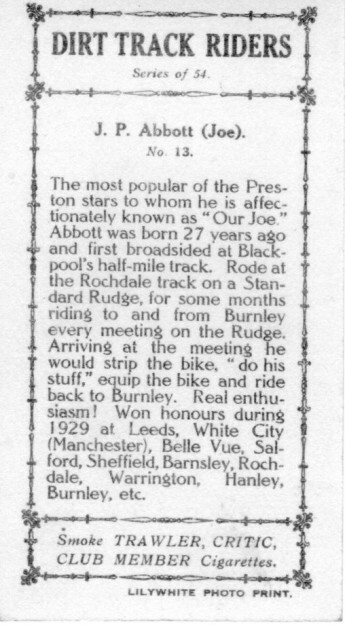 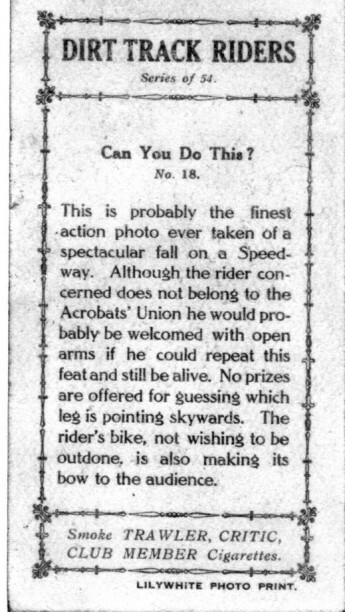 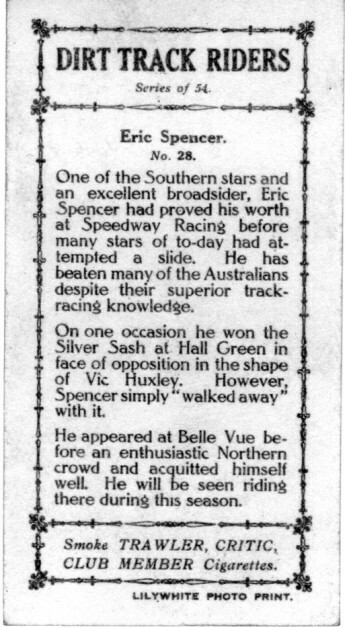 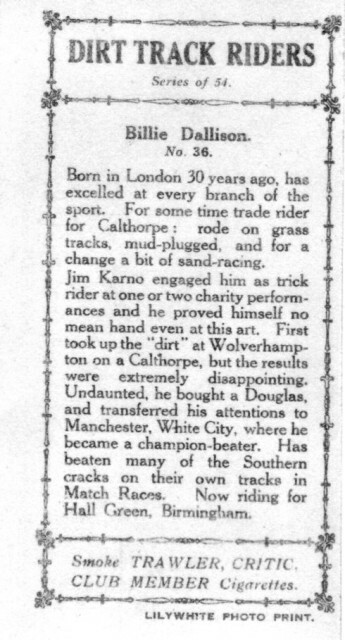 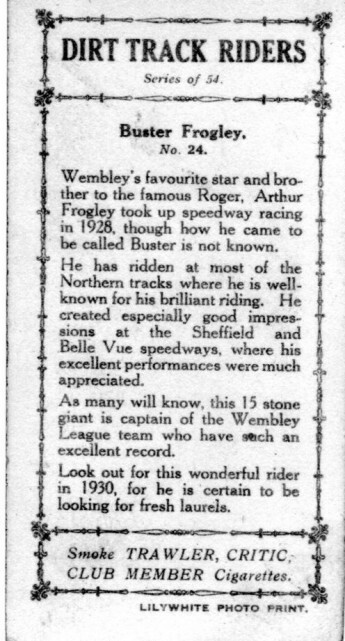 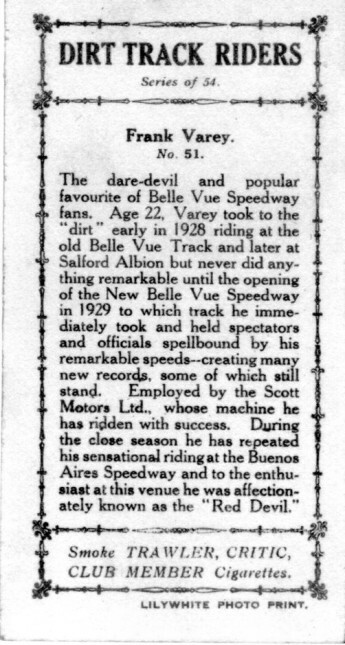 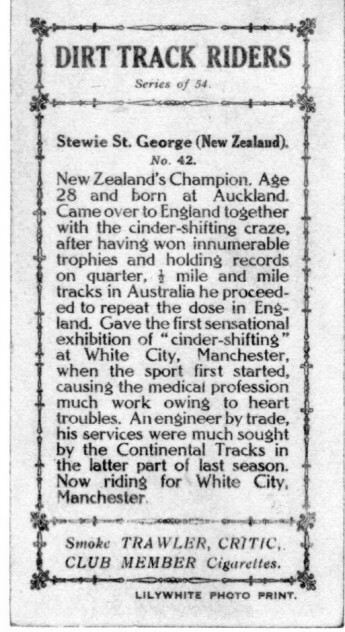 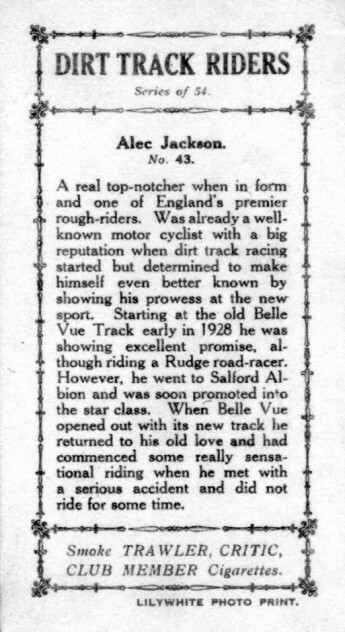 The write up on Walter's card praised him but as often is the case a rider fails to achieve what he should have done.